After a few quiet weeks, there are a slew of interesting food events this weekend. First up is Salem’s Spring Fling on Saturday from 6:00 to 9:00 in Salem Old Town Hall. Tickets are $25 in advance or $30 at the door and include craft beer from Magic Hat, Ipswich, Stone Cat, Cape Ann Brewing, Clown Shoes, and more. 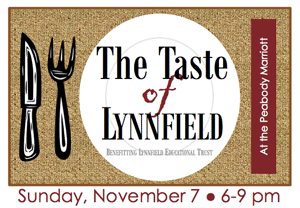 There will also be wine from Pamplemousse and Market Wine & Spirits and food and desserts from several Salem favorites, including 62 Restaurant, Lobster Shanty, Victoria Station, Café Polonia, Gulu-Gulu Café, and Greenland Café. This is an over-21 event featuring music from Big Ol’ Dirty Bucket. Tickets are available at several Salem locations and online here. Also that night is the Art Auction to benefit the Marblehead Festival of Arts. The silent auction begins at 5:00 at Abbot Hall, followed by a live auction at 7:30. Tickets are $15 in advance and $20 at the door; they include hors d’oeuvres and wine tasting during the first part of the evening, and dessert and coffee later on. More information is here. This weekend is the beginning of an epic Salem Restaurant Week, which runs Sunday through Thursday and has been extended to run the following Sunday through Thursday as well (April 10 to 14). Meals are $15 for two courses and $25 for three courses. A complete list of restaurants is here. Last but not least, this weekend marks the end of prohibition in Salem. Well, the winter kind, anyway. All the restaurants with partial and seasonal liquor licenses can begin serving again on April 1, and they are celebrating. The Lobster Shanty is throwing an opening day open mic shindig and rolling out a new menu, and 62 Restaurant and Wine Bar is unveiling their spring cocktail list. 62 will be serving complimentary hors d’oeuvres from 5:00 to 7:00 in the lounge. After 7:00, they’ll serve a complimentary signature spuntino with each drink purchased from the new cocktail menu in the lounge. From 8:30 to 11:00 over at Howling Wolf, there will be free Mexican wings and buffalo wings. Lee Hawkins will be singing the blues, and there’s a raffle for Red Sox and Revolution tickets. And starting at 8:00, there’ll be live music by Clay Ventre and the Bond Girls and complimentary passed hors d’oeuvres at Café Polonia. So ignore any white stuff that happens to be falling from the sky today and get out there and enjoy! Seth is all over Lynn at Lynn Happens. Jane Ward has some great ideas for this weekend. Kimmy has her weekend picks in addition to another great recipe over at Lighter and Local. We’re thrilled to see that Salem Restaurant Week, which starts this Sunday, November 7 and runs through Thursday the 11th, is bigger than ever this year. The list of participating restaurants is here at the Chamber of Commerce site, and it includes many of our favorites (like 62 Restaurant and Wine Bar, Bella Verona, and The Lobster Shanty) and two that are at the top of our list to try (Green Land Café and Café Polonia). In addition to the three-course prix-fixe dinner $25 (not including drinks, taxes, or gratuities) restaurants offered in past years, some participants are offering a two-course menu for $15. Now that’s a deal. To add to the fun, Destination Salem is giving away almost $1,000 in restaurant gift certificates to Salem restaurants. Every day this month, Kate Fox will post a picture of one of the participating restaurants on its Facebook page. The first 50 people to tag themselves in the picture will be entered into a random drawing for a gift certificate for that restaurant. 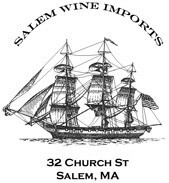 For more information, click over to Destination Salem or go to their Facebook page. The Chamber of Commerce has announced that fall restaurant week in Salem will run from Sunday September 13th to Thursday the 17th. Exact price for the three-course specials hasn’t been set yet. We’ll update you on which restaurants will be participating as soon as we get the list. In the meantime, see our post about the spring event for a list–many of these eateries are likely to participate again. prix-fixe three-course dinners for $24.09 (beverage, tax, and gratuity not included) from April 5 to 9. Enjoy! Restaurants in Salem will be offering a three-course meal for $24.09 from April 5-9. This event was widely attended last year and included 17 restaurants. The Salem Chamber of Commerce says it expects at least that many this year, and hopefully a few more. We’ll have the initial list of restaurants for you sometime next week. Stay tuned!